These homemade crumpets are easy to whip up and, although not technically a crumpet because they don't contain yeast (so no waiting around), they combine the savoury taste of cheese and chive with the fluffy texture of a crumpet. In a large mixing bowl, measure out your flour. 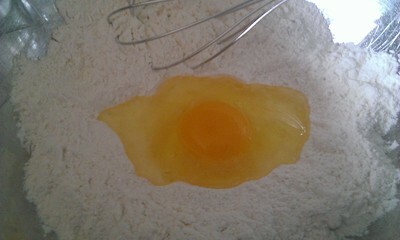 Make a well in the centre and crack the egg into it. 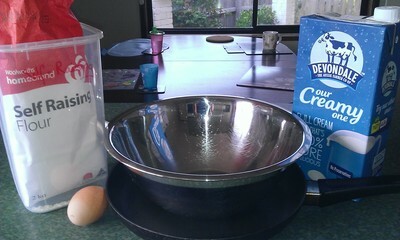 Add some milk to the well and, using a whisk, use little circles to begin to combine the ingredients. 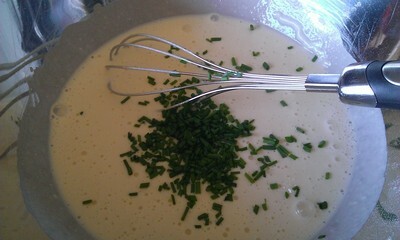 Gradually add more milk as you whisk, enlarging your circles as necessary. 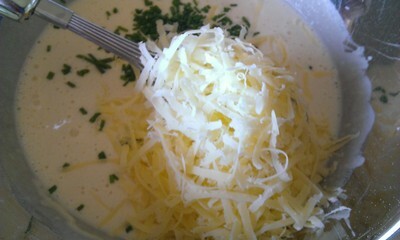 Keep adding milk until your mixture has the consistency of thickened cream (pouring cream). 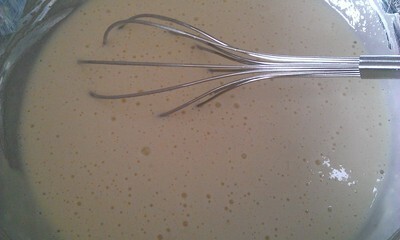 Whisk the mixture vigorously to incorporate as much air as possible - this is what creates the holes during cooking. 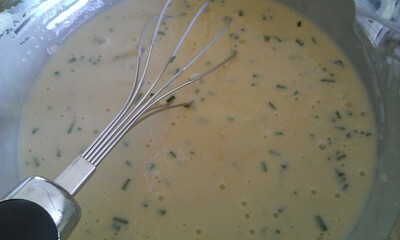 Add the chives and cheese and whisk to combine. Heat a frying pan on a medium heat and place four, well oiled, non-stick egg rings in the pan. 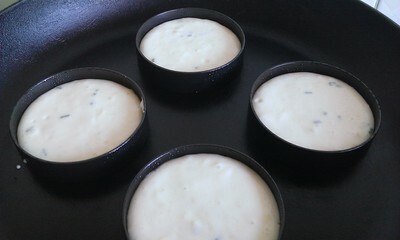 Once the pan is nice and hot, fill the rings about 2/3 full with mixture. Once bubbles begin bursting on the surface, turn the heat down to medium/low. As the surface sets the bubbles will burst, leaving a little hole. You can now remove the egg rings. When the surface of the crumpet is set (if you touch it gently your finger should come away clean), flip it over for a couple of seconds and then remove it from the pan and put on a wire rack. 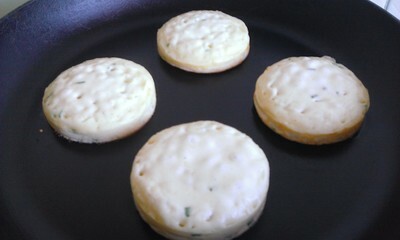 Reheat the pan, re-oil the egg rings and give your mixture another whisk before cooking the next batch of crumpets. 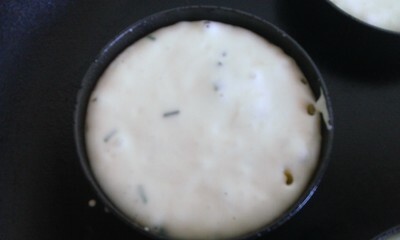 Continue in this way until all the mixture is used up. 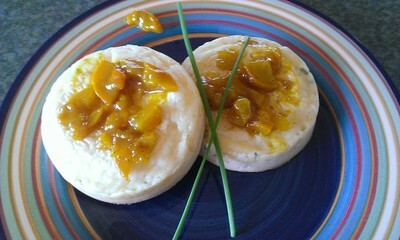 Serve crumpets with some relish. They can also be stored in the fridge and popped into the toaster to warm up, just like commercial crumpets. Yum!